Acoustic recorders are sound recorders that can be deployed at remote – or any! – locations and programmed to record at set time intervals from weeks to months (even up to a year) in a variety of different habitats. Because these recorders can be left in the field for extended periods and programmed to record anytime, studies using acoustic recorders can provide very accurate estimates of the species at a site. Acoustic recorders provide a permanent record of the species at a site and can be re-analyzed at any time to take advantage of new detection technologies or to confirm identifications. Because of these advantages, acoustic recorders are an ideal tool to monitor vocalizing wildlife species and to address a variety of biological and management-related questions. The Bioacoustic Unit is working to standardize methods of collecting acoustic data. Standardized methodologies will allow datasets to be pooled and compared between across multiple users. Advances in data analytics will vastly improve our state of knowledge of acoustic species in a region. 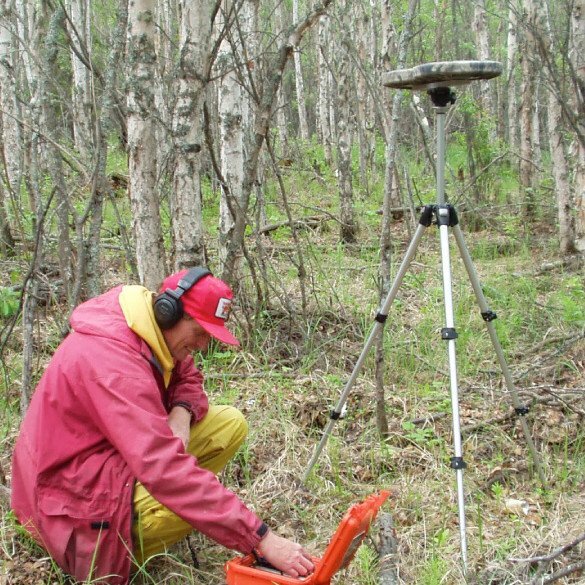 As a result of their versatility, acoustic recorders are changing the business of acoustic monitoring in Alberta and elsewhere. ARUs (Automated or Autonomous Recording Units) are the latest generation of recording devices. 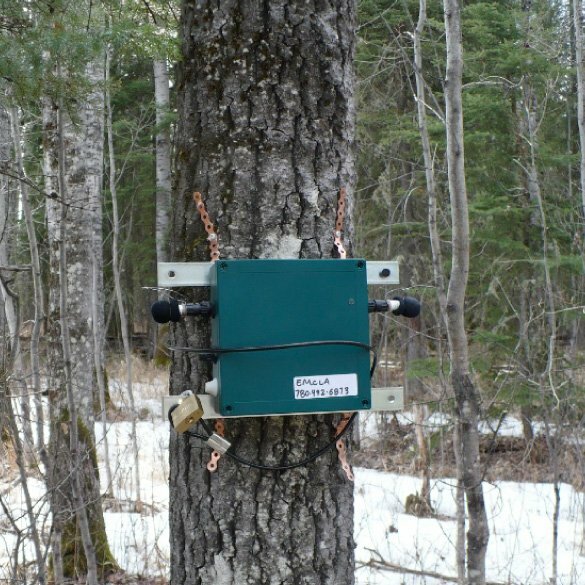 Most ARUs used by the Bioacoustic Unit and the Alberta Biodiversity Monitoring Institute are Song Meters (SM2+ and SM3). These recorders can be mounted on trees or stakes, are durable, waterproof and can be easily programmed to record at predetermined intervals. Visit our protocols to for our ‘how-to’ advice for using ARUs! Other recording devices, such as those manufactured by River Forks , are also commonly used by wildlife researchers. These units are lightweight, and easy to transport and set up in the field. The data collected by these types of recorders can also be analyzed by our team. The Alberta Biodiversity Monitoring Institute has used River Forks for breeding bird surveys since 2007, and continues to use this technology at some monitoring sites. Read more about the ABMI’s Terrestrial Field Data Collection Protocol here!